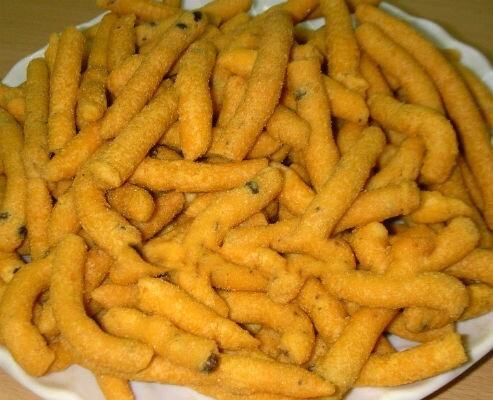 Milagu (Pepper) Karasev is a popular South Indian savoury snack often made during festivals and weddings. 1. Combine all the flours and sieve well. 3. Mix ghee and cooking dosa in a bowl. 4. Add the flours, cumin seeds, peppercorns, salt, asafoetida powder and enough water. 5. Mix well. The dough should not be too thick or too watery. 7. Rub the dough on a karasev plate over the hot oil. 12. Stays good for 10 days. Feel free to comment or share your thoughts on this Pepper Karasev Recipe from Awesome Cuisine.